VISALIA – San Joaquin Valley Homes (SJV Homes) and Presidio Residential Capital recently closed on 8.75 acres on Ferguson Avenue west of Highway 63 in Visalia and will build Catalina, a new neighborhood offering 51 single-family homes. Vertical construction will begin in January 2018, and a grand opening is scheduled for spring of 2018. The community is expected to be complete by July 2019. Catalina will offer homes on 5,000-square-foot lots, which will be close to shopping, transportation and major employers. This residential neighborhood will be conveniently located close to Highway 99 and Visalia Municipal Airport, and it is a quick commute to Fresno International Airport and the Hanford Amtrak Train Station. Major employers nearby include Kaweah Delta Hospital, Visalia Medical Clinic, College of the Sequoias, Cigna Healthcare and Jostens. The community also will offer excellent access to recreational opportunities at Sequoia National Forest, Riverway Sports Park and Lake Kaweah. This is a joint venture project with Presidio Residential Capital, a San Diego-based real estate investment company that funds 100 percent of the projects and operations of SJV Homes. Founded in 2013 by Leal, Jim Robinson and Randy Merrill, SJV Homes plans on closing its 1,000th home by year end making it one of the most active homebuilders in the region. According to the National Association of Home Builders’ formula to determine the local impact of single-family housing in typical metro areas, adding 51 single-family homes will generate $14.6 million in local income, $1.8 million in taxes and other revenue for local governments and 201 local jobs. 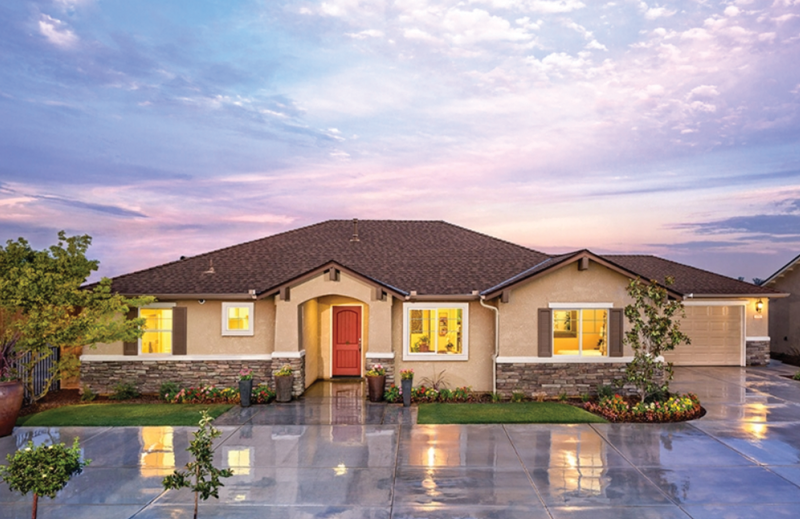 Deeply rooted in residential construction, the founders of Visalia, California-based San Joaquin Valley Homes have built thousands of quality homes and attractive neighborhoods for Central Valley residents. In 2013, SJV Homes combined forces with Presidio Residential Capital, a real estate investment company based in San Diego. Presidio Residential Capital is a real estate investment company focused on the residential housing sector. Presidio has infused more than $1 billion into the economy to capitalize the housing industry. The firm’s goal is to invest in excess of $150 million in capital for home-building projects in the Western United States in the next 12-plus months. It currently has investments in Arizona, California, Nevada, Colorado and Washington with current committed capital of $800 million focused on 100+ projects. The firm is affiliated with a privately held registered investment advisor specializing in alternative investment strategies who has a long history of investing in the home-building sector. Current assets under management total more than $2.5 billion.